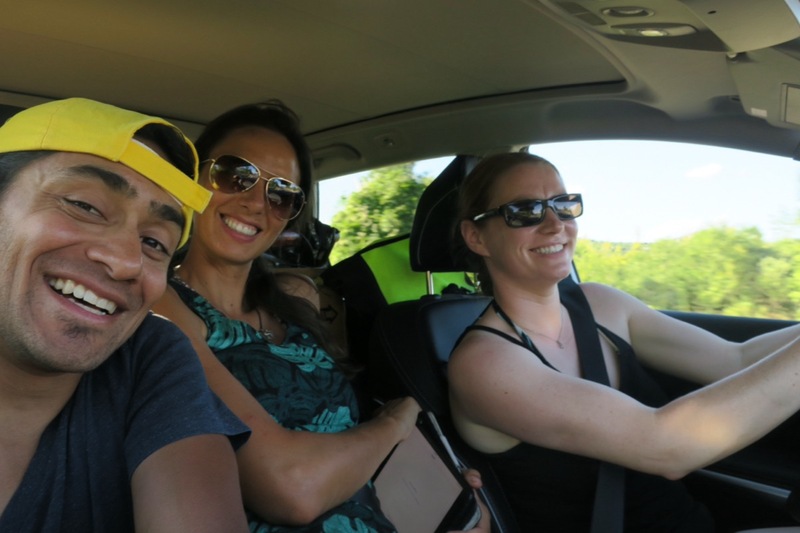 Jess and Hector weren’t picking up the rental car until 2:00pm so we all took advantage of the opportunity to do one thing–sleep in! We ran errands, secured two cardboard bike boxes, and had a late pizza breakfast. 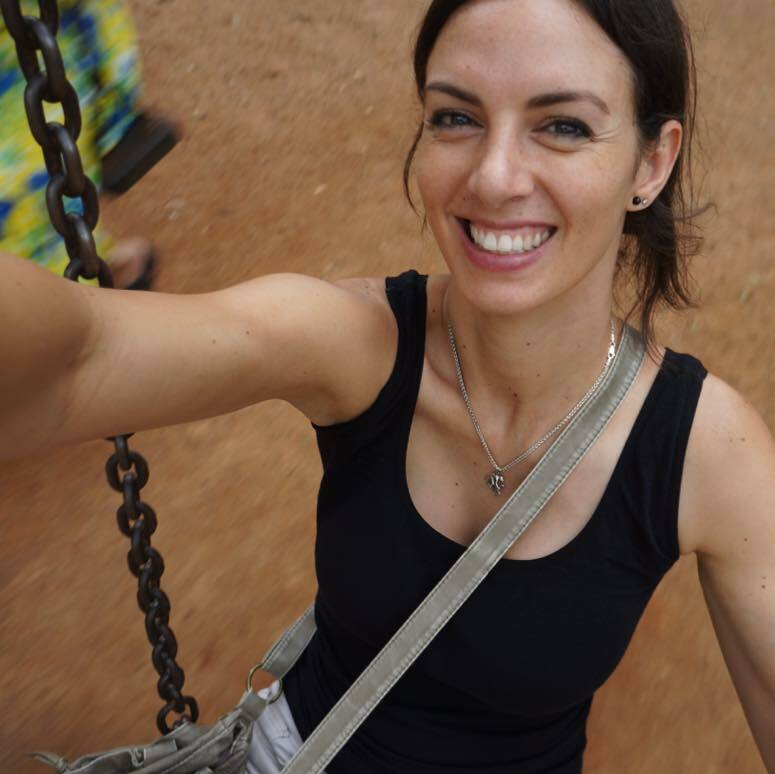 While they journeyed to the airport I hunkered down at a local cafe to catch up on personal admin. 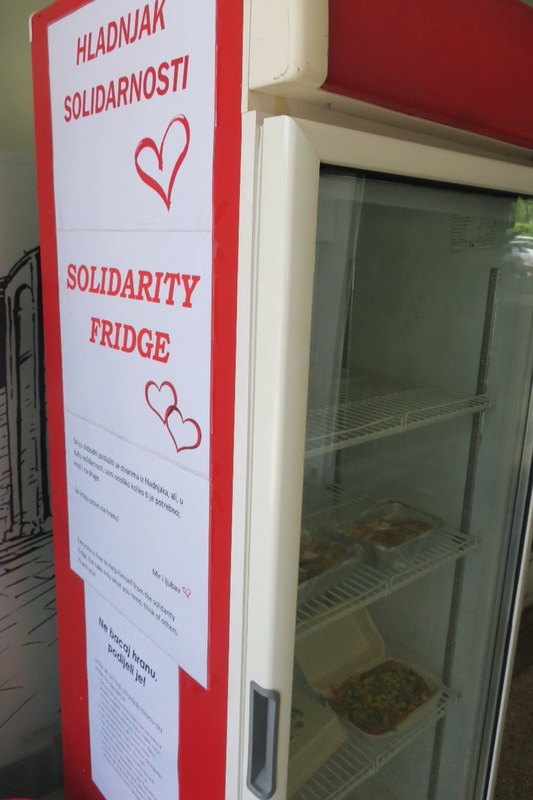 From here I could see one of my favorite findings in Zadar; a solidarity fridge. I have only ever read about them, but the concept is beautifully simple. An establishment sets up an outdoor fridge for those who have extra food to leave it, and those who need food to pick it up. I hope to create one if these one day. Jess and Hector returned with a sleek white SUV. Now the fun started. 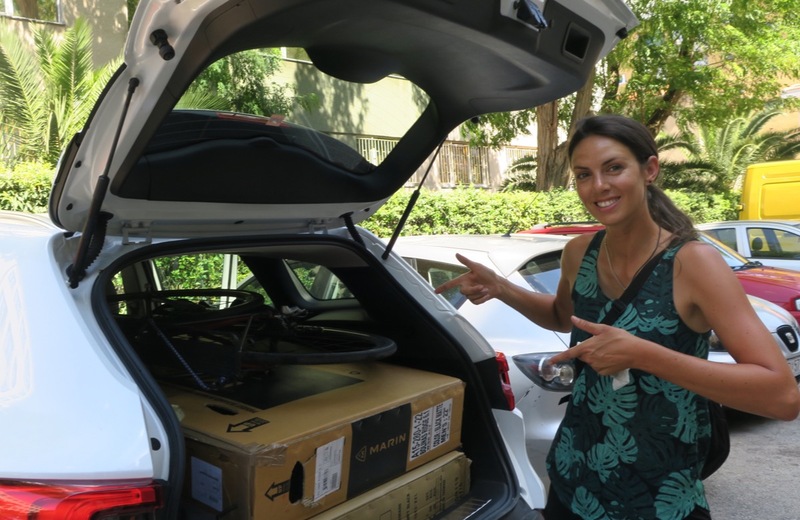 As Jess and Hector would be taking the car directly to the Split airport we figured it was best to box up their bikes now. It would hopefully make all our bikes fit in the car easier. 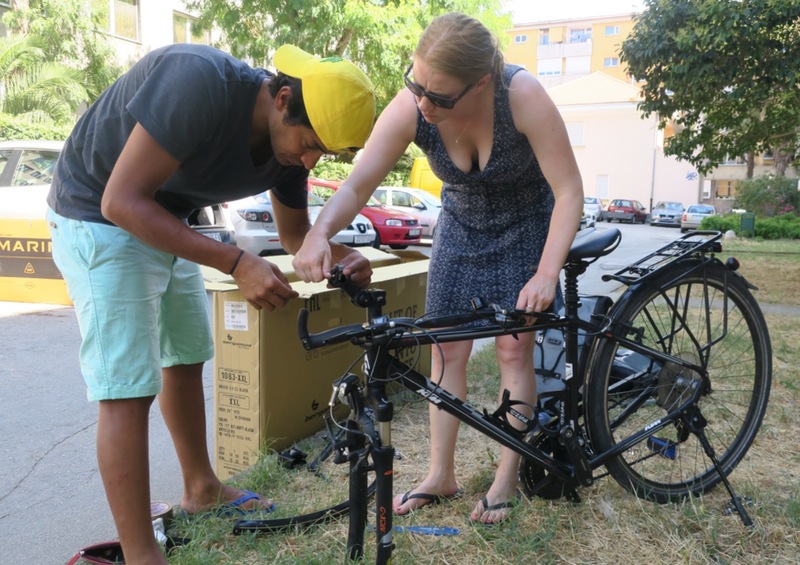 We began disassembling Hector’s bike on a lawn next to an apartment building. 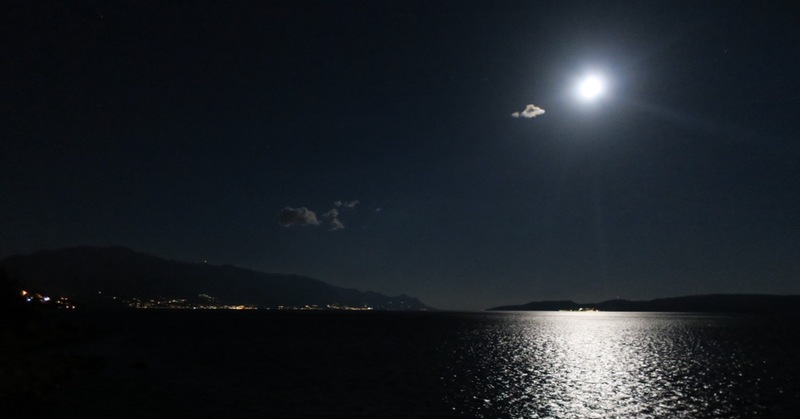 Before long an middle aged Croatian woman came over to investigate. From her gestures I gathered she was wondering if we were staying, or associated with someone staying at the apartment. I indicated that I didn’t speak Croatian before pointing at the building, smiling, and saying “da, da” (yes, yes) until she was satisfied and left. Sometimes smile and nod is the best strategy. Thanks to wicked Tetris skills, we got all three bikes in! We drove until our stomachs reminded us we needed sustenance. A grocery store with a deli was the perfect solution, and we even bought a jar of ajver to slather on our massive sandwich. We drove until we found a small seaside town for our perfect lunch spot. Due to some mutual dawdling we arrived to our apartment late in the evening and dinner was a late night affair. It had been an incredible ten days with these fearless travelers. 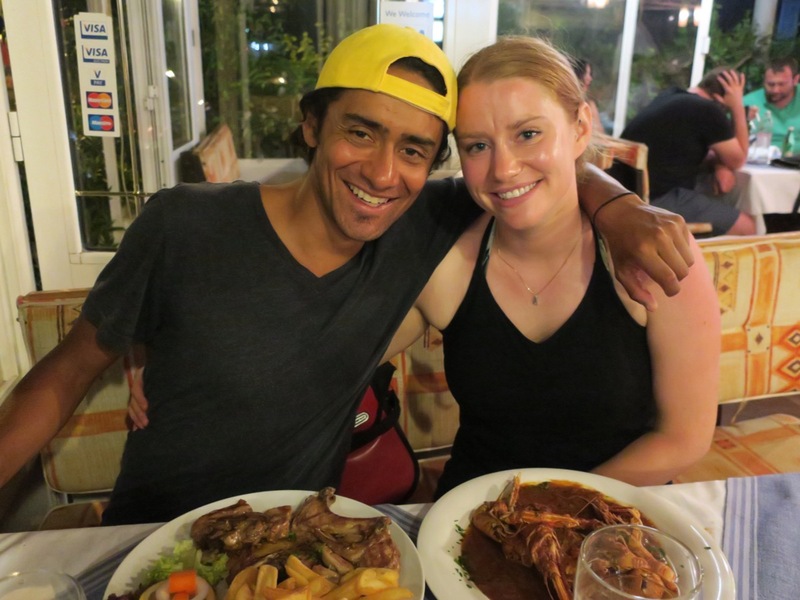 I loved reliving moments from our previous cycle trip with Jess, and I was so happy to have Hector as a new member of the cycle touring family. I think these two will have some epic cycling trips of their own in the future.